The Downstairs conference room seats 10 and has enough outlets to power each attendee's devices. 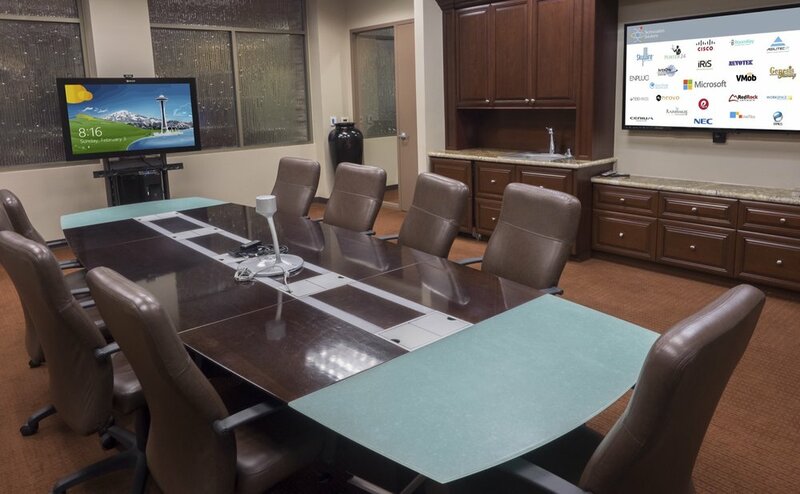 It features a 360 degree conferencing camera for your offsite attendees, a 55" Microsoft Perceptive Pixel and a 60" display that will allow mirroring from a personal device with HDMI. 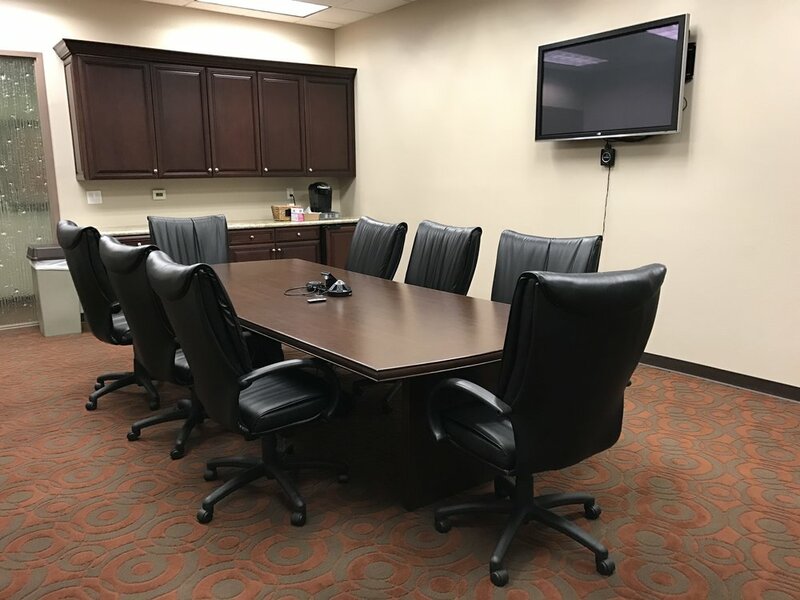 This conference room also has a refrigerator that is stocked with water and soda, attendees may also brew single cups of coffee. The Upstairs conference room seats 10 and has 6 outlets to power devices. It features a 55" display that will allow mirroring from a personal device with HDMI. This conference room also has a refrigerator that is stocked with water and soda, attendees may also brew single cups of coffee. The Training Room seats 30 and best caters to an individual leading a group facilitation. There is a 60" display that can be used to mirror your presentation, a facilitator podium and a dry-erase board. This room also has it's own thermostat to adjust climate to best fit your groups comfort.